The configuration of cobblestone sand making production line needs to consider the production demands, different demand needs different configuration, the suitable configured solution can bring biggest benefits. In this text, we will introduce the type of equipment and the reference factor that needed in the cobblestone sand making production line. Cobblestone is hard material, and the granularity is big, which cannot be processed directly by sand making machine. It needs to be treated by crusher, and then transport to the sand making machine for further processing. The transportation between different machines need belt conveyor, after crushing, the vibrating screen is needed for screening work. 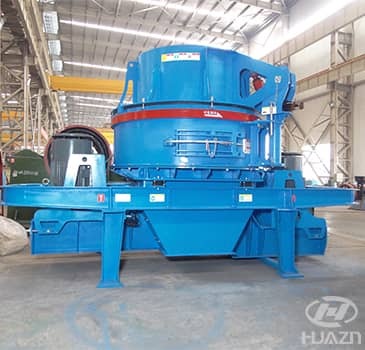 When feeding the materials, the vibrating feeder is also necessary. That is to say the whole production line includes vibrating feeder, crusher, belt conveyor, sand making machine, and vibrating screen etc. Different equipment has various kinds of type, all these equipments must be selected according to the production demands.